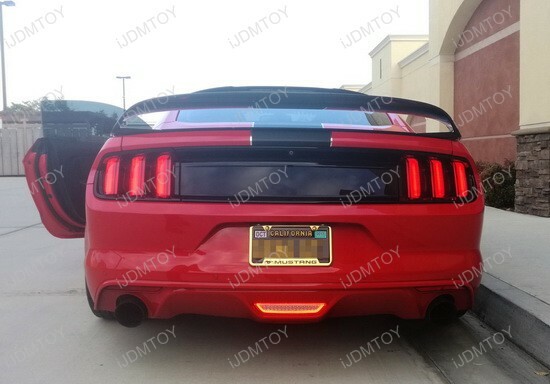 Q: Does this Ford Mustang LED Rear Fog Light fit my car? 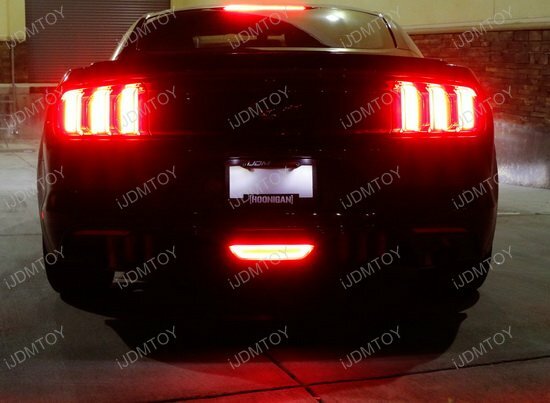 A: This LED rear fog light assembly will fit the 2015-up Ford Mustang to give you more LED output. 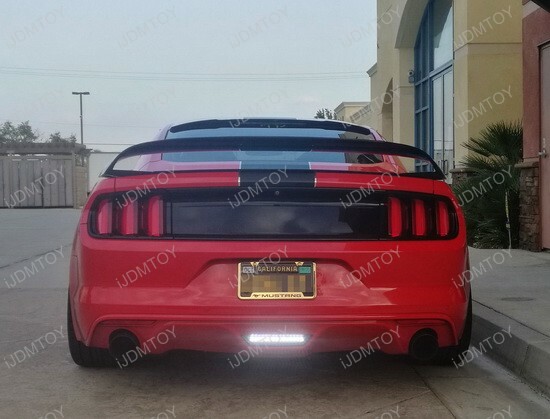 Q: Is this LED rear fog light street legal? 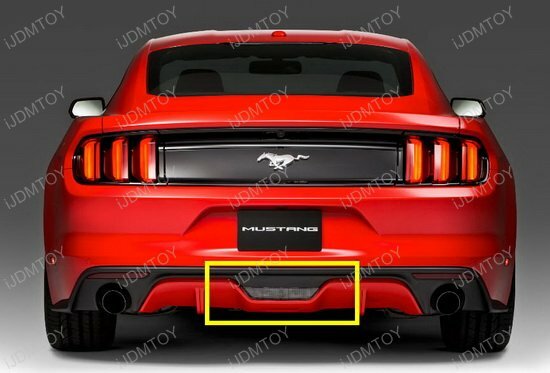 A: Yes, this 2015-up Ford Mustang rear fog light is 100% street legal with enhanced safety feature to ensure your safe drive at night. 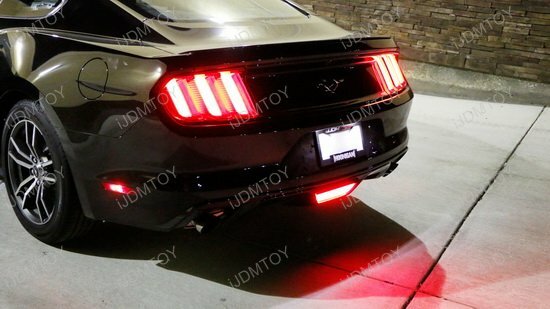 Q: How would I know this LED rear fog light assembly will fit my Ford Mustang? 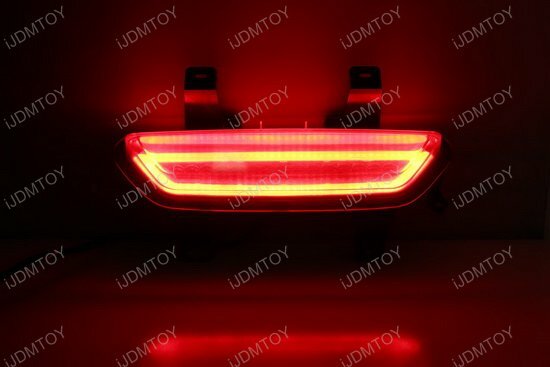 Q: How do I install this LED rear fog light? 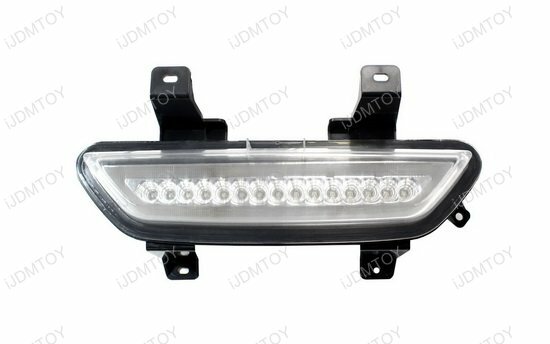 A: Simply remove the screws of the original reverse lamp, and you can directly replace back with this LED rear fog light. 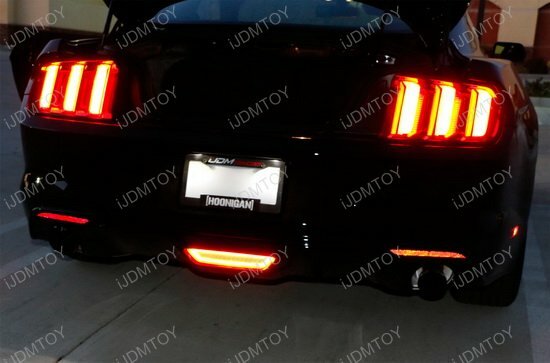 Q: Are there any modifications needed to install the Ford Mustang LED Rear Foglamp? 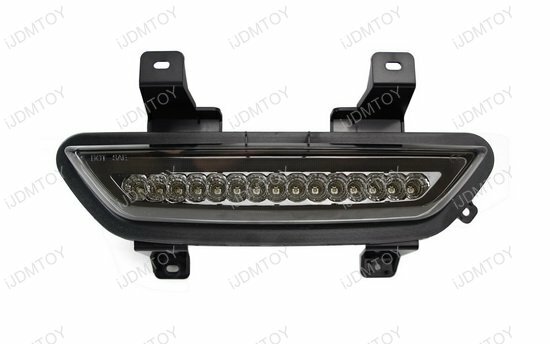 A: There's no modification needed to install this LED rear fog light as it is a direct replacement off the stock rear reverse light assembly. Installation will involve direct replacement action as well as simple wire tapping and extending wires. 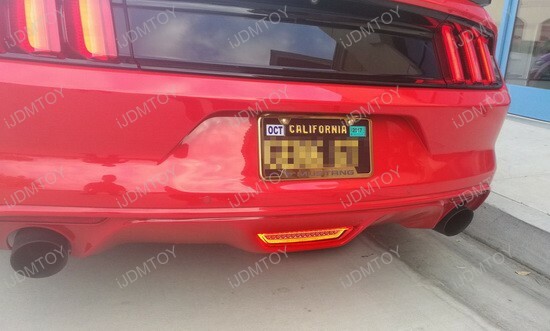 Q: My LED fog light portion flashes whenever I use my turn signals. 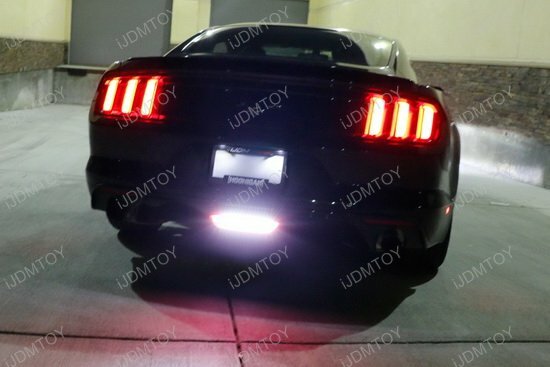 How do I wire this rear LED fog assembly so that doesn't happen? 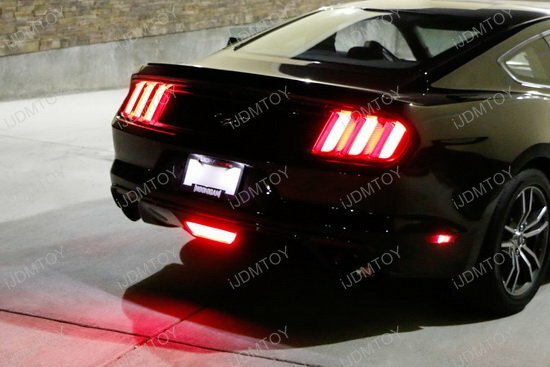 A: The 2015-up Ford Mustang's tail lights do indeed also function as turn signal lights, so when you wire any LED light to its tail light harness it will flash as turn signal lights. 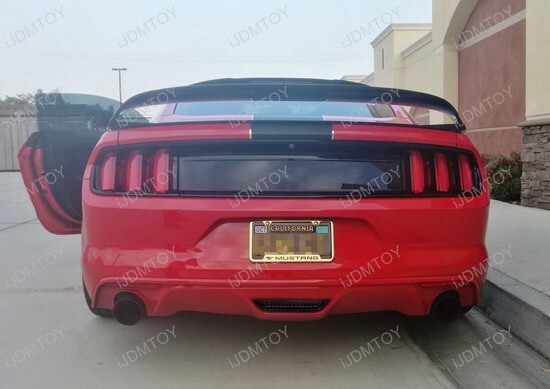 The only way to wire the 3-in-1 LED rear fog light assembly without the LED fog light flashing to your turn signals is to either connect the fog light wire to your license plate lights or to run and connect the fog light wire to your Mustang's 3rd brake light on top of the rear windshield. 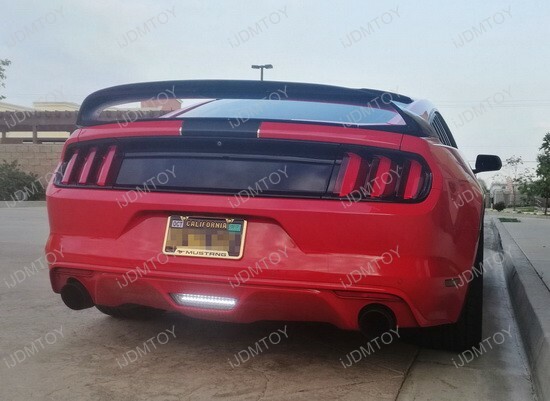 Here at iJDMTOY, we guarantee you the latest design/technology with the highest quality and the most unique style you can not find anywhere else. 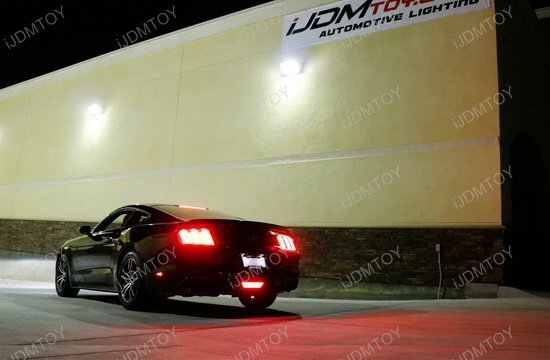 You can't beat smoked lenses and 3 kinds of LED tail lights! 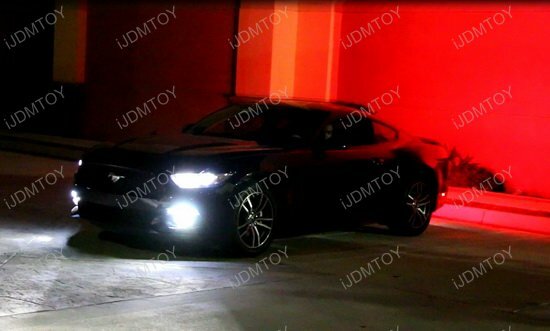 The clear lens all-in-one Ford LED light looks great - very bright, and I like that it acts as a running light, reverse light, and stop light. What I don't like is you have to splice wire into the middle of existing wire - and 3 of the 4 wires coming out of the AIO LED lamp assembly are TOO SHORT to make it to where they need to be. I am not sure why the company is trying to save $.10 on wire - 2 of the 3 wires needed to be 6 inches longer, and the last one needed to be about 2' longer. 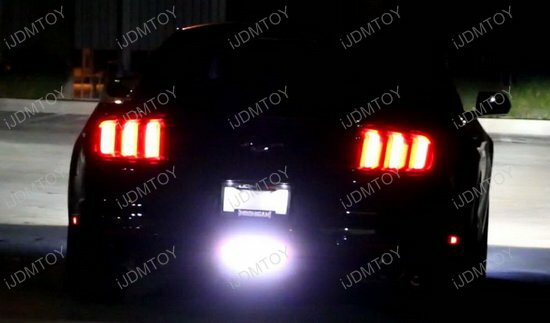 So - the installation on this Ford Mustang light was PAINFUL. There are no wiring harnesses included, and the instructions aren't great. I consider myself to be fairly handy - and I spent about 3 hours on this. You need to pull out a lot of trim panels, and pull down the headliner. Make sure you know what you are getting into when you start this project. The other thing you will need is extra wire. I had to run out to buy more when I realized everything was too short. I did solder and heat shrink all connections. In the end - if they would update this to plug into a wiring harness - it would be an easy 5 start review. 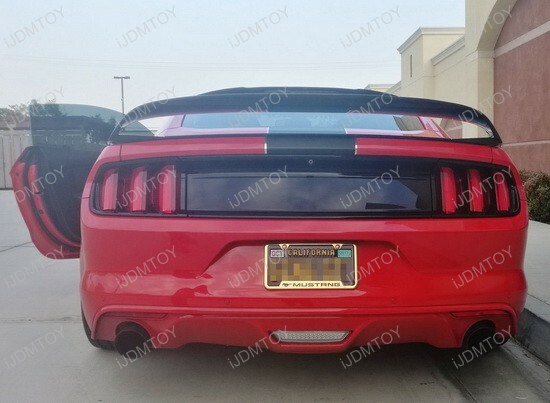 I have seen other "4th brake lights" from other vendors that ship with a custom wiring harness that would make the install much easier. 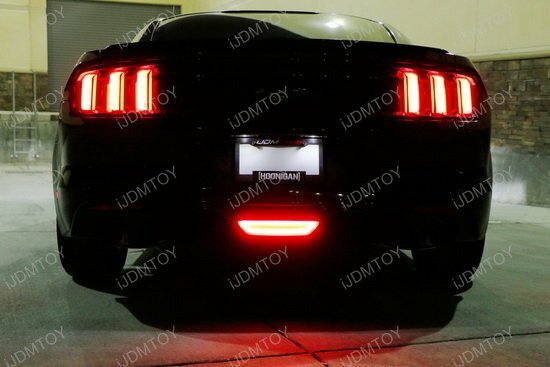 Everyone I know likes to put a LED switchback in this. 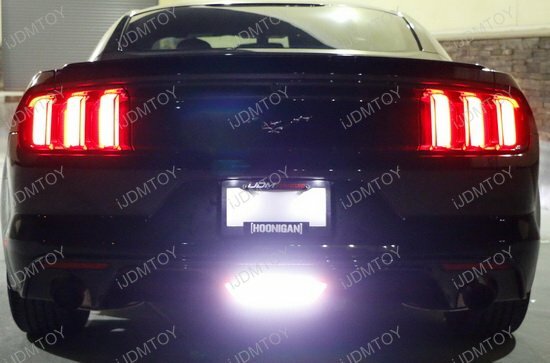 Ok great, you and a million other Ford Mustang owners have just done the least you can do to mod your backup light. 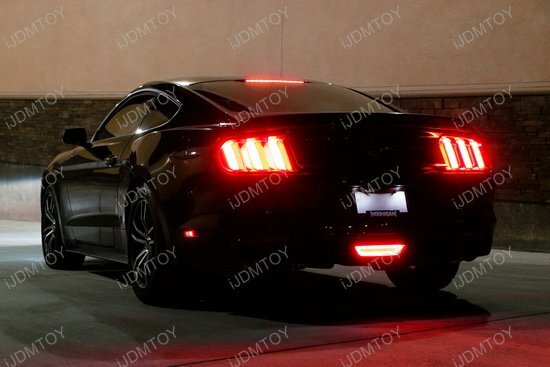 I looked into all available options for this at the time of writing, and this all in one rear fog light assembly is the most serious mod for the S550 backup light. 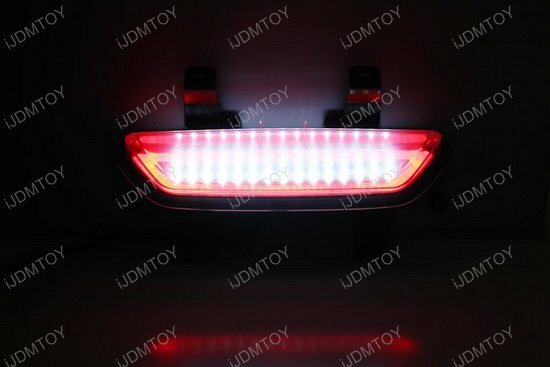 Dont forget your options 1) Switchback (lame) 2) giant 6000 watts led backup light, big enough it needs a heat sync, great for driving backwards at night should your headlights fail or 3) this item gives you a great LED backup light, a great LED brake light and a great LED running light. This is how it's different from all other options out there. 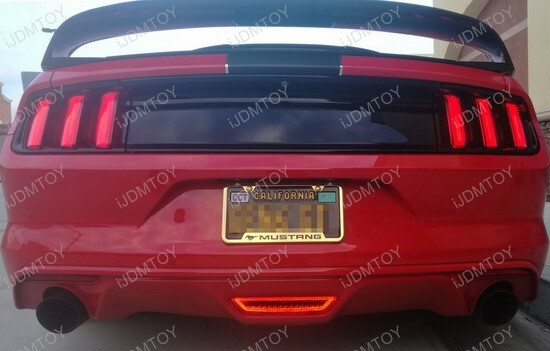 Danger: In order to get the brake light feature to work on this, a wire has to go from device to the 3rd brake light running through the trunk and then to the light. This is the only way to do this per the vendor. It is NOT easy. After my first attempt, I took it to a speed shop and had it installed with some other things. No pain no gain. Best mods hurt to install.